Samsung plans to block sale of the new iPhone in Korea. Wrangling continues between the legal teams of Samsung and Apple. 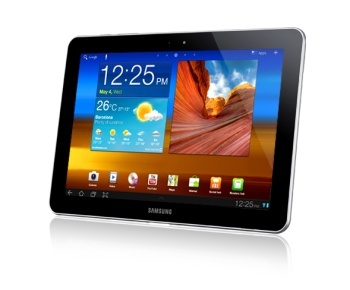 Judge Johanna Brueckner-Hofmann in Germany recently upheld an injunction to prevent Samsung's Galaxy 10.1 tablet from being sold there while a ban against Samsung's Galaxy S, Galaxy SII, and Ace handsets being sold throughout the European Union was delivered in the Netherlands. Currently, 23 suits have been filed by the two rivals in France, Italy, UK, US, and Japan with Samsung confident that the iPhone 5 will be banned in its homeland of Korea. The dispute began when Apple claimed that Samsung's products "slavishly" copied the "distinctive user interfaces, and elegant and distinctive product and packaging design." Because Samsung is also one of the largest manufacturers contributing chips and hardware to iPads and iPhones is problematic at best for any resolution between the two companies. "Apple is Samsung's biggest customer," Samsung CEO Choi Gee-sung said. "From our perspective, we are not entirely happy [about being sued by Apple.]" Apple and Samsung have a complicated relationship so permit me the metaphor. Little Red Apple wanted to have the prettiest dress for the dress contest. Little Red Apple went to the Samsung the Korean dressmaker and asked her to make the dress from the designs that Apple had spent all last year dreaming up. Samsung worked very hard, and finally was able to complete the dress for Little Red Apple and she looked beautiful. Looking at her handiwork, Samsung squinted her eyes, and thought that maybe she could make a dress for the contest herself. Apple saw Samsung modeling the dress she made and thought it slavishly copied her distinctive button interfaces, and elegant and distinctive frill and zipper design. Little Red Apple didn't think that was fair, so she went to the dress contest judges and demanded that Samsung's dress be disqualified. Most of the European judges sided with Apple, but Samsung is pretty sure that the Korean judge is going to stop Apple's dress from qualifying either. Little Red Apple needs Samsung to keep making the dress so that it's ready in time for the contest, but she's talking to Old Man Packard and Bob Panasonic to see if they know how to make dresses as well as Samsung. And that's basically where we are in the legal disputes between Apple and Samsung. Apple has successfully blocked the sales of Samsung's products in Europe, citing patents in interface and design, while Samsung thinks it can stop sales in Korea based on Samsung's wireless patents. "Just after the arrival of the iPhone 5 here, Samsung plans to take Apple to court here for its violation of Samsung's wireless technology related patents," said an executive. "For as long as Apple does not drop mobile telecommunications functions, it would be impossible for it to sell its i-branded products without using our patents. We will stick to a strong stance against Apple during the lingering legal fights." Apple is expected to announce the iPhone 5 during an October 5th press conference. The presentation might mark the first without Steve Jobs appearing as CEO of the company in a black mock turtleneck and jeans.